Wild caught in the cold Antarctic waters of Argentina. Available in the following sizes: 60/80, 80/120, 120/150. Shucked and frozen at sea within minutes of harvesting. 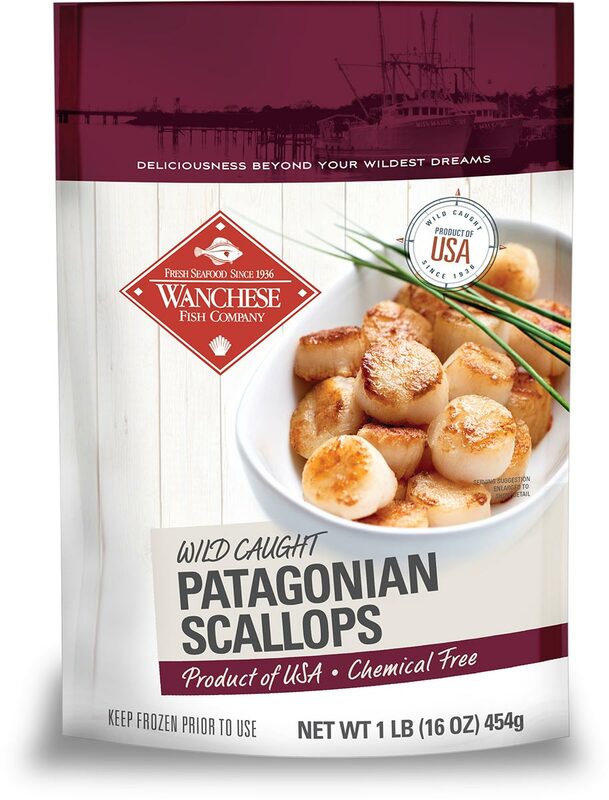 Patagonian Scallops should be stored in your freezer until you are ready to thaw them for use. Reference the sell by date on the packaging to determine when they need to be used by. Remove scallops from the freezer and thaw in the refrigerator for at least 24 hours. After the scallops have thawed, place them in a container lined with dry absorbent paper towel or a cloth until ready to use. SAUTE: Fry scallops in butter or oil. Cook thawed scallops about 2.5 minutes on each side over medium heat. Cook frozen scallops about 4 minutes on each side. BROIL: Brush thawed scallops with oil. Keep at least 4” from the heat and cook for 3-6 minutes turning several times. MICROWAVE: Place thawed scallops in a microwave safe dish with butter. Cover and vent. Microwave at 50% power for 3-5 minutes.